Home Kollywood Celebrity News Actor brothers help Kerala! As the whole of Kerala is impacted by heavy rains and floods all over the state playing havoc with lives of people, Killing more than 20 people, the Kerala chief minister Pinarayi Vijayan has requested people to contribute generously to help the people of Kerala by donating to the chief minister’s distress relief fund. He has also made the contributions made to CMDRF as completely tax free. Following the appeal by the Kerala chief minister, the versatile hero Suriya and the up and rising Karthi have contributed an amount of Rs 25 lakhs for helping the people of Kerala. 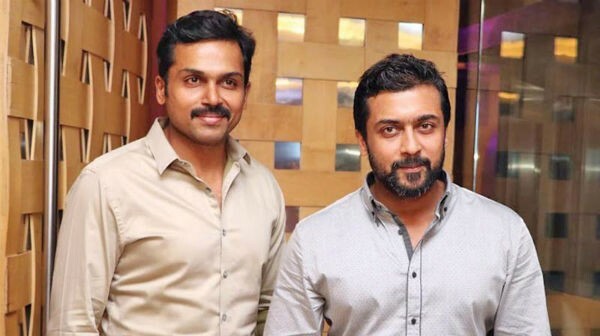 As per the statement given by the team of the actors, as an immediate response to the devastation caused to Kerala by the floods, Suriya and Karthi have donated 25 lakhs to the chief minister’s distress relief fund. The statement also included their feelings on seeing the submerging of lands in water and mountain slopes sliding, and damages in areas like Idukki, Aluva, Palakkad and Malappuram. Rescue operations are in full swing, and flight services have been cancelled as well. Idukki dam level had gone down by a feet in the past 24 hours, in a positive sign. Apart from Karthi and Surya, Actor Kamal Haasan also stepped up and he has donated Rs.25 Lakhs from his own pocket. Star Vijay Channel also donated Rs.25 Lakhs to Kerala CM’s distress fund. However, the relentless rains is causing a huge havoc and destruction to the state. Controversial actress appreciates controversial star!